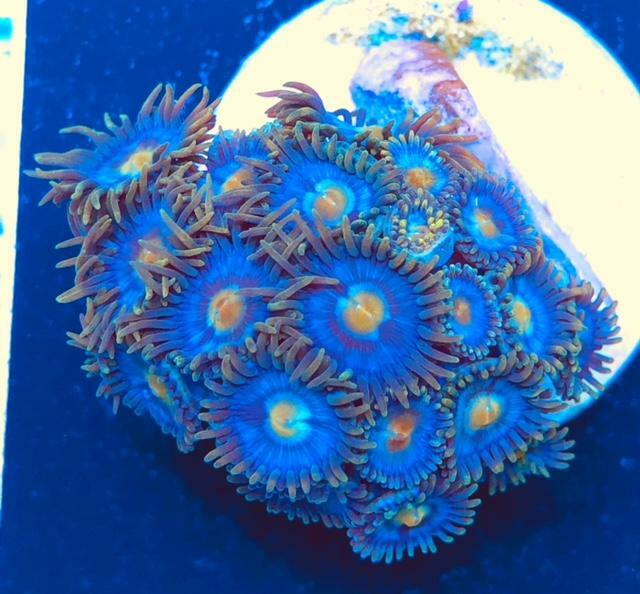 A beautiful coloured zoanthid frag. All frags will will have approx 8+ polyps and will be from the exact colony pictured. These will spread rapidly and in a carpet like formation over your rockwork giving a beautiful and colourful effect. A great soft coral for the beginner and expert alike. They are very easy to care for and need no special care other than good water parameters.